What is this document and why is it needed? This document has been prepared by Knowsley Metropolitan Borough Council (the Council) as a Supplementary Planning Document (SPD). The SPD is driven by the Council’s aspiration to see additional benefits (known as social value) incorporated into its housing and other development opportunities. Social value is the additional economic, social and environmental benefits that can be created as part of a development. By seeking to capture social value from major developments, whilst such schemes are at the planning stage, the Council can achieve significant added value benefits for the people of Knowsley, particularly in the area of employment and skills, to which this SPD relates. 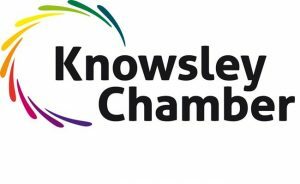 The Knowsley Council Corporate Plan (2017-2020) refers to the need to improve economic conditions in the Borough, and to address skills and educational barriers to employment. Policy CS4 of the Knowsley Local Plan: Core Strategy (2016) plays an important role in removing such barriers by facilitating employment development of the right type and in the right location.